Surrey, Middlesex, London and Greater London. Birth and Postnatal Doula / Night Nanny / Breastfeeding Support / Troubleshooting / Welcome home package / Twins / VBAC / Premature babies. I have five children who were born in 1987, 1990, 1999, 2004 and 2006 respectively. My experience with each has been different but whether a young mum or an older mum I have found it a pleasure and a privilege that I continue to enjoy. My life has been dedicated to my children and the rewards continue to be amazing. I love being a mother and still feel it is my biggest achievement. My philosophy is caring, nurturing and embracing the experience that a new life brings. I aim to encourage and empower parents-to-be to have the birth they desire. To give parents-to-be the information they need to be able to make and be confident with their own choices. I support the mother in getting to know her baby and help her find her way as a new mother. I believe the early weeks with your newborn child are very precious and I believe they should be cherished. I tend to encourage listening to and acting on your feelings. Mums usually know best. Your baby has spent the best part of nine months growing inside you, being protected in your womb, hearing only your heartbeat, body sounds and muffled sounds from the outside. Suddenly they are in this big wide world with all this space, new sounds, smells, and tastes, sensations that are new to them. Everything is a new experience and can sometimes be a little overwhelming for them so don’t be afraid to cuddle, comfort and most of all enjoy your baby. Early Years First Aid Course. I have breast fed each of my children, with the longest being fed to nine months and the shortest stopping at eight weeks. With each child it was different, which I believe has given me extensive experience in this area. At different times I suffered with Mastitis and Breast Thrush and as a result I am aware of the causes and treatments for these conditions. I also have personal experience of Symphysis Pubis Dysfunction, carpel tunnel and postnatal depression. 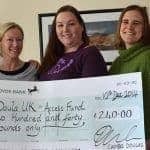 I have supported over 200 families, either as their birth doula, postnatal doula or both, covering days and nights, which I find extremely rewarding. I have supported parents in all manner of birthing situations __ natural births, caesarean section, breach and VBAC (vaginal birth after caesarean) __ in a number of different hospitals and homes with a variety of different scenarios, with or without pain relief, TENS, entinox, pethidine and epidural. 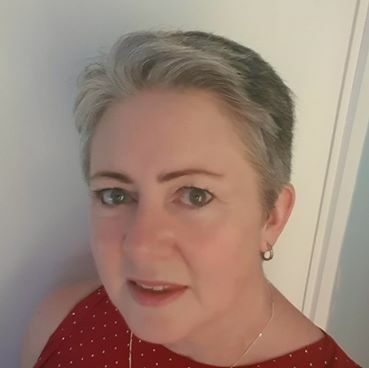 I have also supported women through assisted deliveries where ventouse, forceps or kiwi have been used, planned c-section, planned and unplanned home birth, water birth, premature babies, twins__ the list grows. I have supported a number of families in the postnatal period, which I find extremely rewarding. I have vast experience and have thoroughly enjoyed supporting families with twins which has continued beyond the first few weeks, as they may have needed an extra pair of hands attending swimming lessons, appointments or babysitting.